This gem of a novel ticks all the boxes—a book of flaming affections and indefatigable loves, dystopian and convincing, a tale of pilgrimages and adventures, all beautifully textured and lovingly narrated. “The pressure of my blood, the beat of my heart, is a message to you. You read each second of my body’s life”. 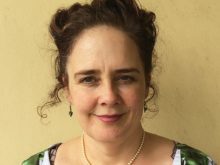 We are pleased to welcome author and Tom Keneally Writing Masterclass co-facilitator, Claire Corbett, back to the SMSA. 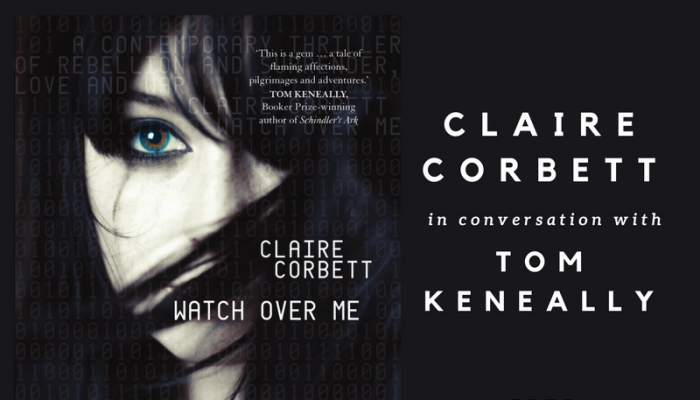 In conversation with Booker Prize-winning author Tom Keneally, Claire will discuss her eagerly awaited second novel Watch Over Me. Watch Over Me follows Sylvie, a young women trying to survive in an occupied city. Singled out at military checkpoint, she is saved by from torture by a young lieutenant, with whom she falls in love. Watched closely by her military lover, her loyalties are divided when her older brother returns to town on a mission to overthrow the occupation. Set in an atmospheric landscape of fog, glacial light and sequestered forest, Watch Over Me bring the classic conflicts of survival and war, love, loyalty and treachery up to the present minute. While the unimaginable power of modern warfare advances, Watch Over Me reminds us that the things at stake—survival, refuge and love—remain the things worth fighting for.